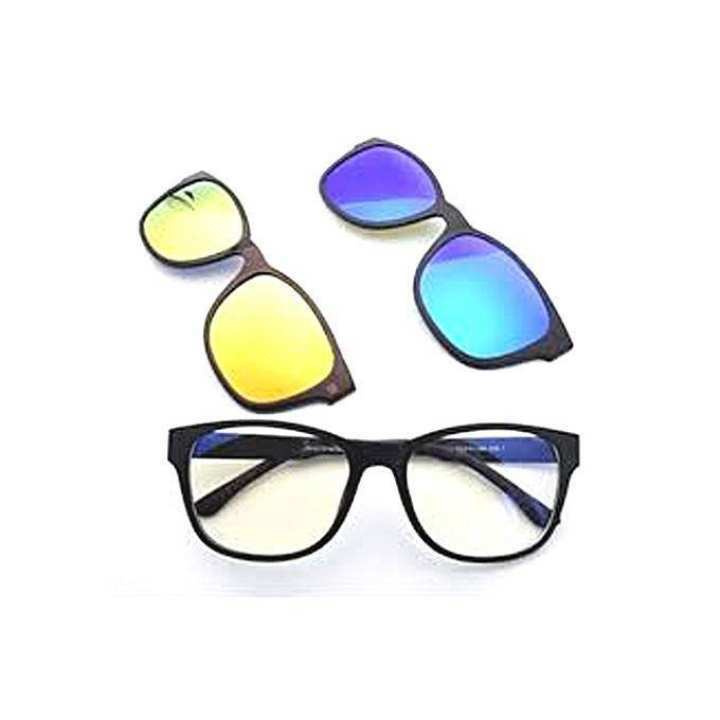 Glasses, also known as eyeglasses or spectacles, are devices consisting of glass or hard plastic lenses mounted in a frame that holds them in front of a person's eyes, typically using a bridge over the nose and arms which rest over the ears. Glasses are typically used for vision correction, such as with reading glasses and glasses used for nearsightedness. Safety glasses provide eye protection against flying debris for construction workers or lab technicians; these glasses may have protection for the sides of the eyes as well as in the lenses. nijer icca onujai power dewa jabe?